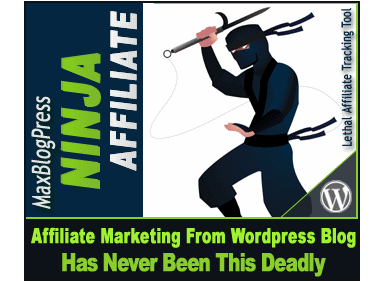 For anyone who is looking to turn their blog or website into a money making machine, you need to check out Ninja Affiliate. Ninja Affiliate is a WordPress Plugin that allows you to easily convert keywords into affiliate links. Not only can it convert keywords into affiliate links, but it is a complete Affiliate Marketing system that will help you to manage and track your affiliate marketing campaigns. The graphic below shows you want the backend of the plugin looks like. As you will see for “Link Name” this is where you will name the Campaign to something you will be able to remember for easy management. The “Affiliate Link” is where you will enter your unique affiliate link, which then directly below that is where you enter what you would like to change your link URL to. You can then organize the specific campaign under a certain group to organize your affiliate campaigns more effectively. If you want to hide your affiliate link completely, you can cloak the link by checking the box. If you want to automatically convert keywords on your blog to use your affiliate link, enter them in the “Convert to Keywords” box. The last few options allow you to change the status bar text, whether to add a nofollow tag to your link and to open the link in a new window. Professional URLs: Instead of having a URL that looks like domain.com/product.php?=johnsmith&12j32892j3 you can create a URL that is professional looking and clean. Easy Management: Ninja Affiliate will manage all of your affiliate links into different Groups, allowing you to better track and manage how each affiliate campaign is running. Convert Keywords into Links Automatically: So I am not a huge fan of automated tasks, however this software will turn keywords into your affiliate links for you AND you have the ability to limit the number of affiliate links you have on a page. Cloak Option: You have the option of cloaking or not cloaking your link to prevent people from trying to steal your affiliate commissions from you. Insert Link Directly from WordPress wysiwyg Editor: After you have created your link, you can easily add the link to your post right from within the “Edit Post” editor, making it painless to insert your affiliate links. For anyone who manages a blog or website and recommends products and tools that you truly stand behind, it only makes sense to earn commissions for anyone who purchases that product in result of them seeing your review. Of course people out there can abuse this system and promote nothing but affiliate products, however for the ethical marketers out there, it is so much more than just a way to hide your aff. links. Probably my favorite aspect of the Ninja Affiliate plugin is being able to track how each marketing campaign is performing. Personally I promote many products on not only my blog, but forums, social media sites, and other industry websites. By grouping my link per campaign and utilizing their tracking system, I can see which campaigns are producing better results. Again, if anyone is looking to make money your blog through affiliate marketing, I would highly recommend using Ninja Affiliate. MaxBlogPress Subscribers Magnet: This WordPress plugin is designed to help boost the number of RSS subscribers you have to your blog. Through the use of a Auto Filler, PopIn, and Footer bar you can more effectively turn visitors into subscribers. 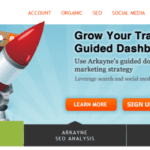 The 365k Blog Traffic Formula: This is a new and proven way to help gain more targeted traffic to your blog. RSS E-Mail 2.0: Through the use of this step-by-step tutorial you will learn how you can drive more traffic to your blog simply by implementing the RSS to E-mail feature.